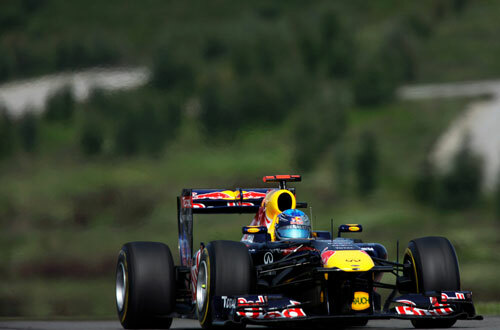 Sebastian Vettel took his third win in four races as Red Bull Racing scored its first 1-2 finish of 2011 in the Turkish GP. 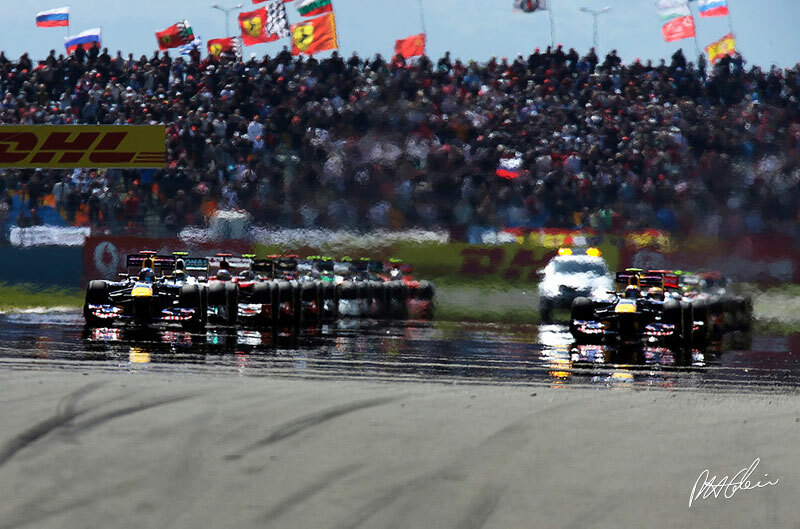 The team did not have things all its own way though, with Fernando Alonso pushing Mark Webber all the way to score Ferrari's first podium of the season. Vettel had given everyone false hope when he crashed on Friday morning evaluating the Pirelli intermediate tyre in worsening conditions, depriving himself of dry running in the afternoon. It mattered little. Such is the world champion's confidence that it took him precisely seven laps on Saturday morning to assert himself at the top of the time sheet, and he went on to qualify four tenths clear of Webber. Any chance of anyone offering a realistic challenge was scuppered at the start when third-placed Nico Rosberg did just what he had cheekily told Webber he was going to do, and simply drove by him as Mark attempted to get away from the dirty side of the grid. Hamilton tried to go around the outside of the Red Bull into Turn 1 as well but Webber defended and Lewis got on the dirt and was passed by Alonso and team mate Button. 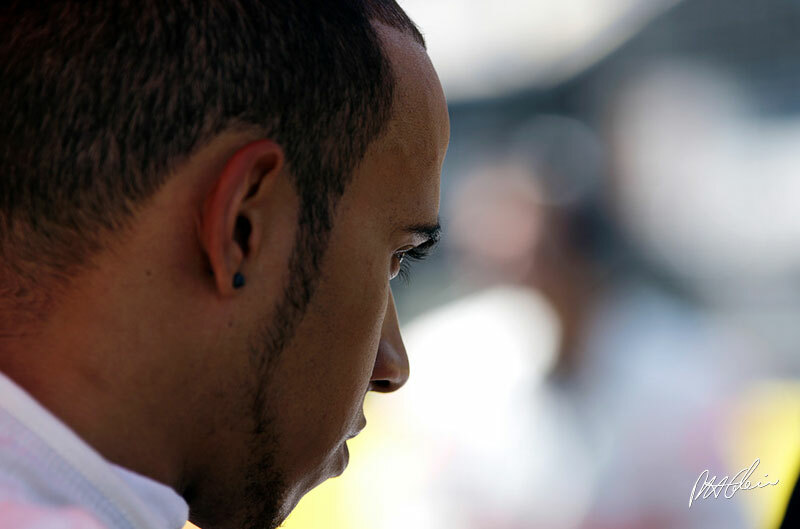 "That was the defining moment of my afternoon," Hamilton said, "if I hadn't dropped behind Fernando and Jenson I could have got up to third and battled for second. The fight with Jenson and the fact that I had too much front wing dialled in, meant I struggled to look after the rear tyres, which kick-started the four-stop strategy. Considering the lost time at my third stop [a cross-threaded wheelnut], we recovered well." It took Webber five laps to get past Rosberg and Alonso a further two laps, by which time Vettel was 5s up the road and no longer vulnerable to any undercut at the first round of stops. 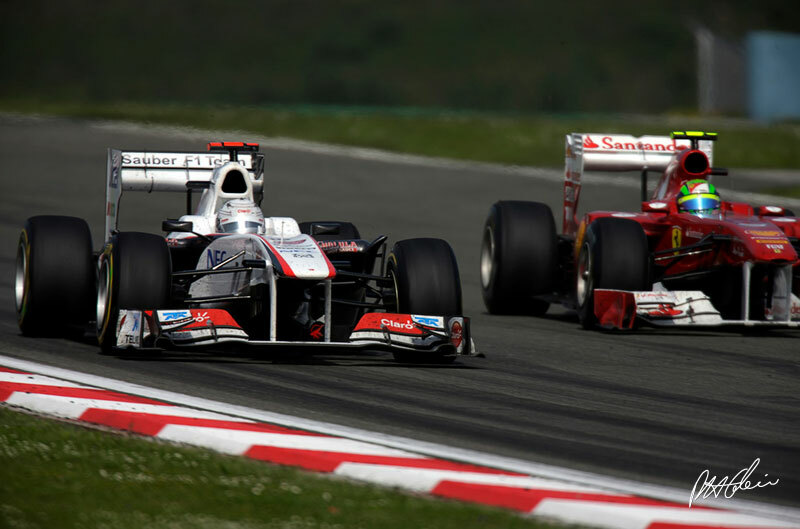 He was in control thereafter and even had the luxury of changing to a four-stop race in the closing stages. Vettel's third stop was 40 laps into the 58 and as Button (who pitted a lap earlier), proved, going to the end on a new set of hard Pirellis was feasible. 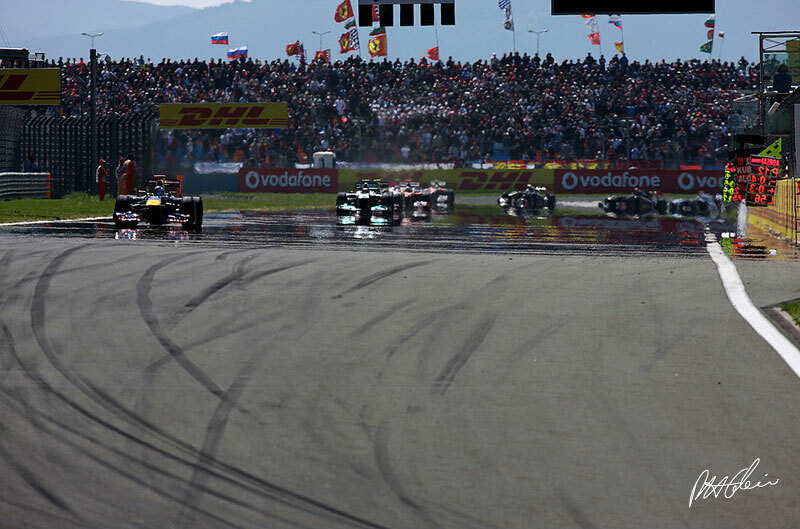 In that situation, however, you are vulnerable if a Safety Car closes up the field and anyone behind is on soft tyres. Rosberg and both Renaults all had soft Pirellis for the final stint, Rosberg's new, and so Red Bull took the safe option and made a fourth stop on lap 47, one lap after they had seen Alonso enter the pits for the fourth time. 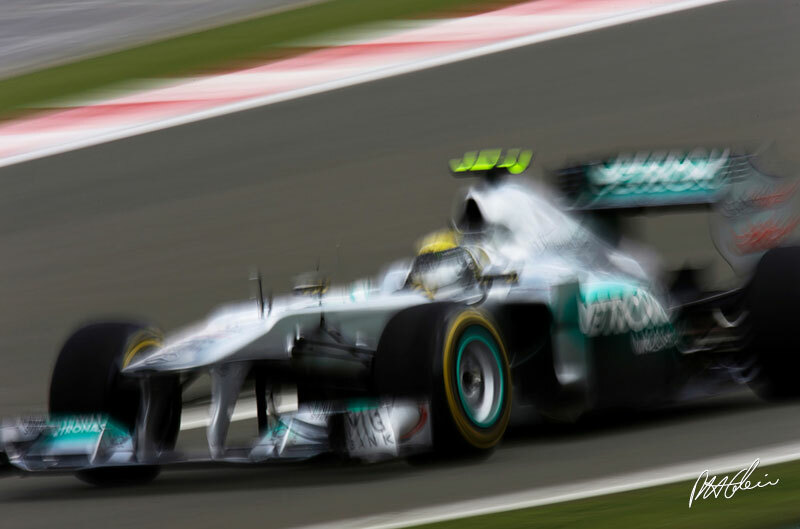 Mercedes, happy with Rosberg's qualifying speed, was not happy with its long run pace from the start of the weekend. 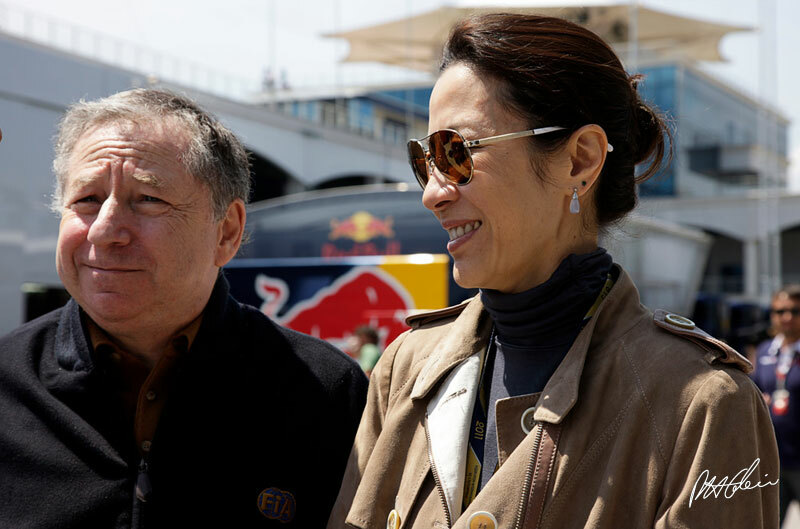 "It wasn't very good on Friday," Ross Brawn admitted, "we didn't have a great high fuel balance and one of the priorities overnight was to find a better race set-up." That involved a bit of guesswork because FP3 on Saturday morning is only an hour and therefore too short to do meaningful high fuel running." 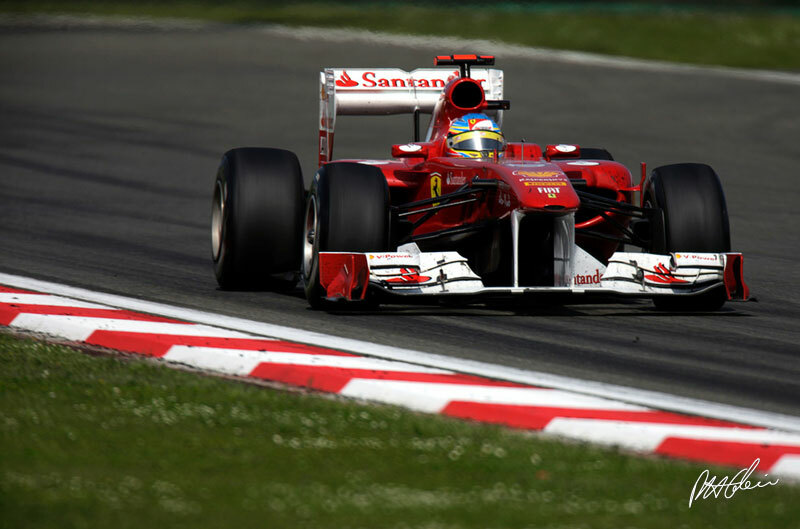 The team had the opposite problem to Ferrari, which showed strong race pace but lacked qualifying speed. 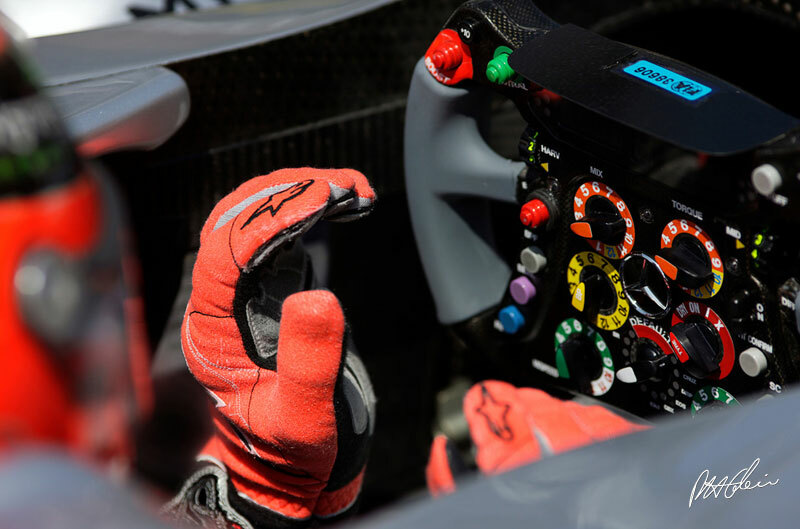 Rosberg was therefore happy to finish fifth, splitting the McLarens and getting to the chequered flag 12s clear of Button, for whom a three-stop race did not work out. "The first stint seemed to go well," Jenson said. "Strategy-wise, I don't think we got it right. My battle with Lewis was great fun and there was a lot of on track excitement but I was disappointed to finish where I did. We didn't leave the stops late enough - the tyres were still good at the end of every stop, so we should have stayed out longer because the last stint was extremely difficult." 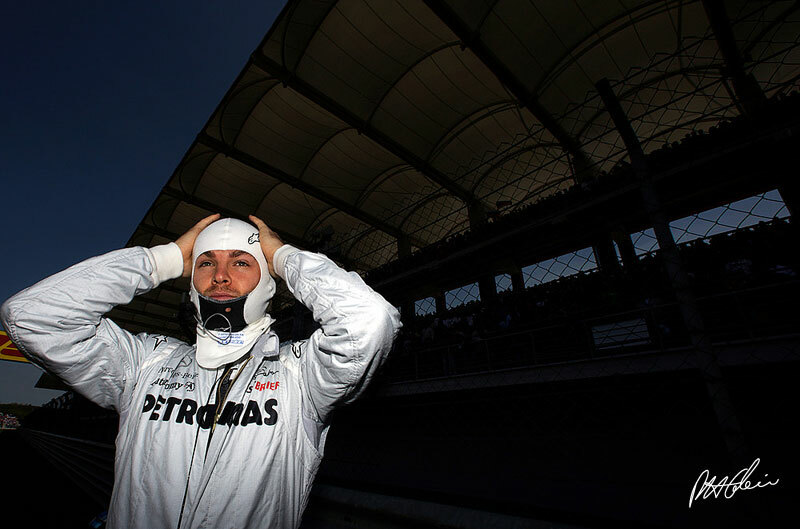 If Rosberg was disappointed at falling back two slots from his qualifying position, teammate Schumacher had a total nightmare. 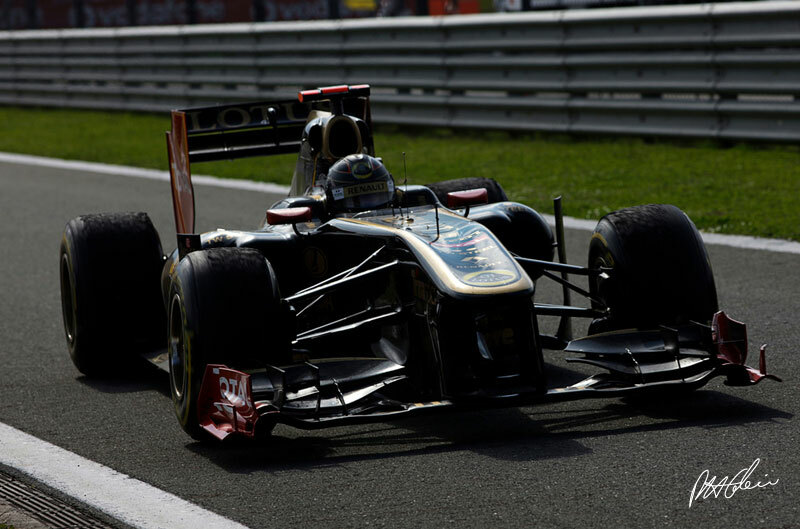 Starting eighth, he made contact with Petrov's Renault at Turn 12, appearing to turn in as if the Renault wasn't there, for which he accepted responsibility, and immediately pitted for a new nose. Out of synch thereafter, he spent the rest of the afternoon fighting battles, often losing ones, with Felipe Massa and a selection of Force Indias and Toro Rossos, ultimately getting the car home 5s behind Massa in 12th place. For poor Massa it was another disappointing race, the seeds of which were sewn when Ferrari somewhat inexplicably sent him out on option tyres in Q1 despite it being obvious that Kamui Kobayashi was not going to run due to a fuel pump problem and that Felipe could have gone through to Q2 on the harder tyre. 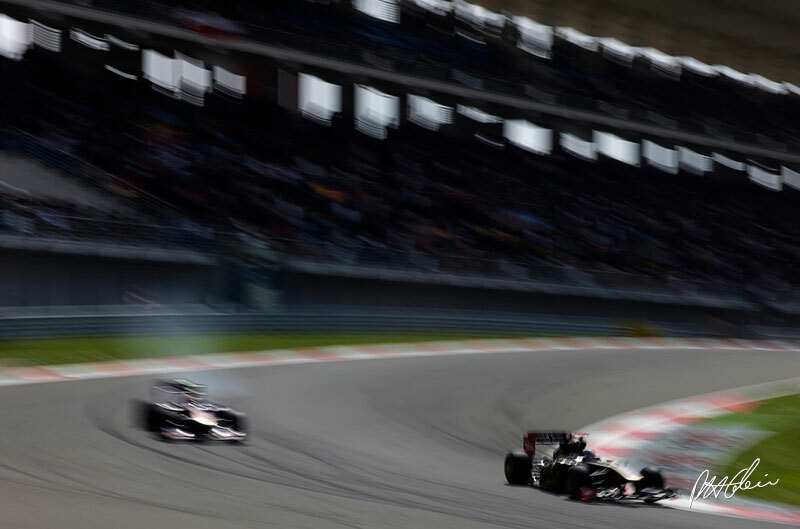 The explanation was that they were worried about a potential improvement from Heikki Kovalainen and didn't want to risk being marooned in Q1, as happened to mark Webber in China. 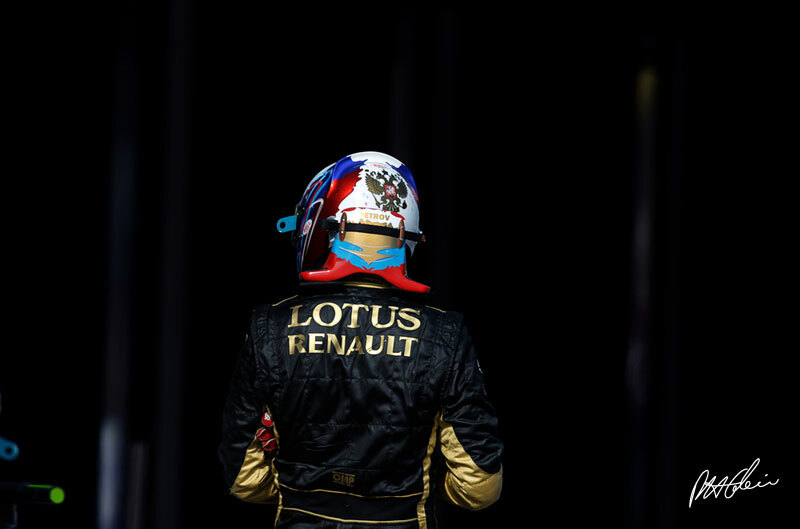 In reality though, there was no threat from Kovalainen. The upshot was that Felipe, having used another set of option rubber in Q2 was compromised in Q3 and could only qualify 10th. He had been just seven hundredths slower than Alonso in FP3 on Saturday morning and there was to be no real recovery from there at a track on which he has won three times. He picked up three places when Schumacher pitted and he passed the Renaults but fell back again due to problematic pit stops and an excursion at Turn 8 just after his third stop. 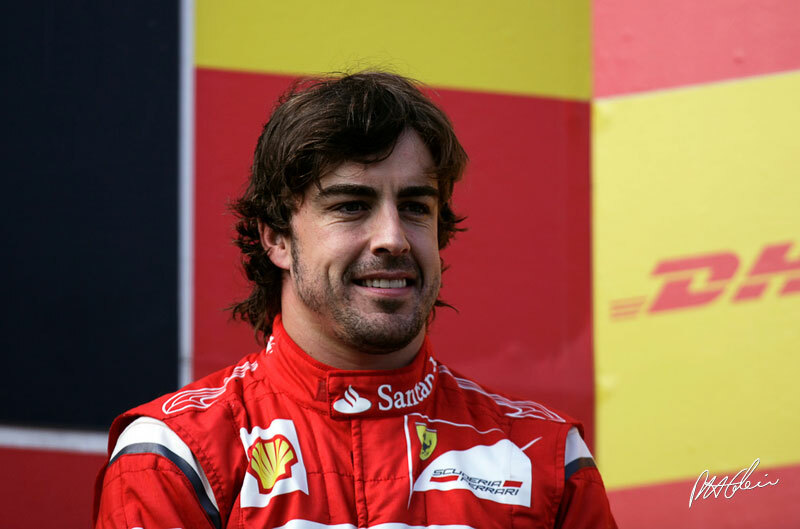 It will have been doubly galling for him that Alonso demonstrated that the car had near Red Bull equaling pace at Istanbul Park. Nick Heidfeld beat team mate Petrov to seventh place after they banged wheels at the final complex of corners, while Sebastian Buemi and Kamui Kobayashi took the final points after excellent drives from 16th and 24th on the grid respectively. There was no stopping the Red Bull express in Turkey but Alonso came closer than expected, a fact that Webber was quick to acknowledge. 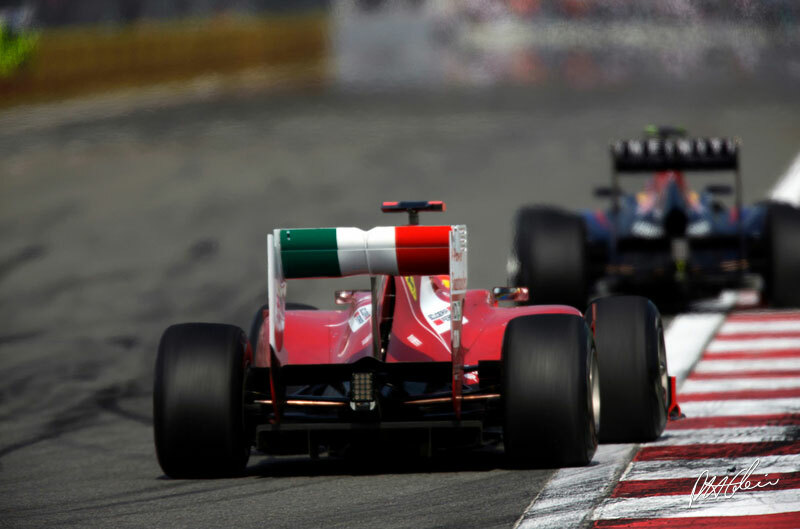 He was passed by the Ferrari with DRS just after half distance and only re-passed Alonso on lap 51 with the benefit of a new set of hard Pirellis while the Ferrari was on a used set. 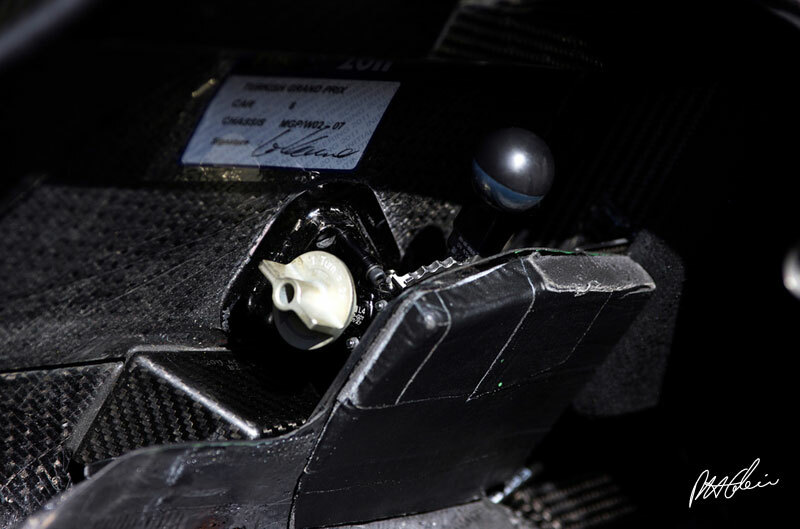 It did not look easy and despite claiming he had no KERS problems, Webber did not appear to be using it at that stage. 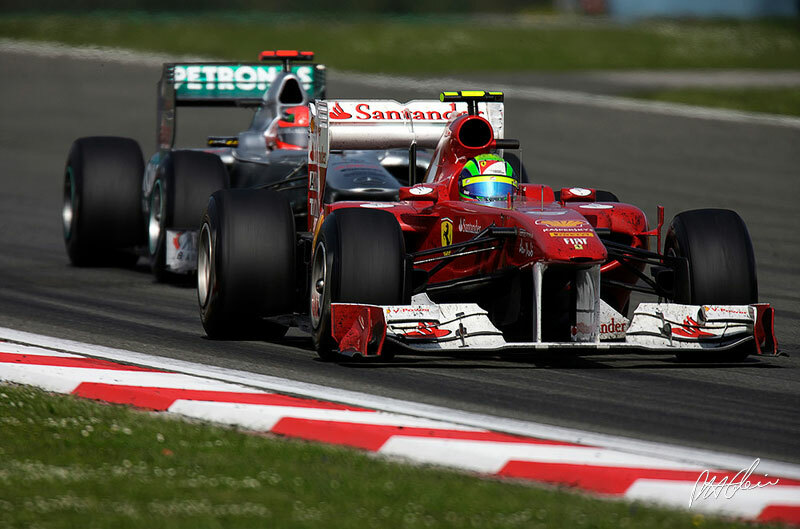 "Fernando drove fantastically today and it was a bit unexpected to have to fight him," he said. 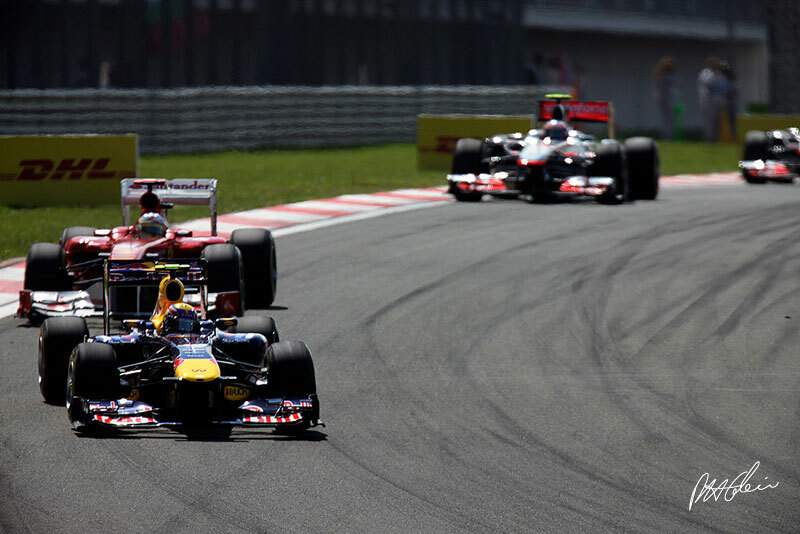 The message is that while Red Bull is still undeniably the team to beat, Ferrari cannot be discounted. "Sebastian was 99% favourite today," Alonso admitted, "and our 1% chance was gone when we lost a bit of time behind Rosberg at the beginning. 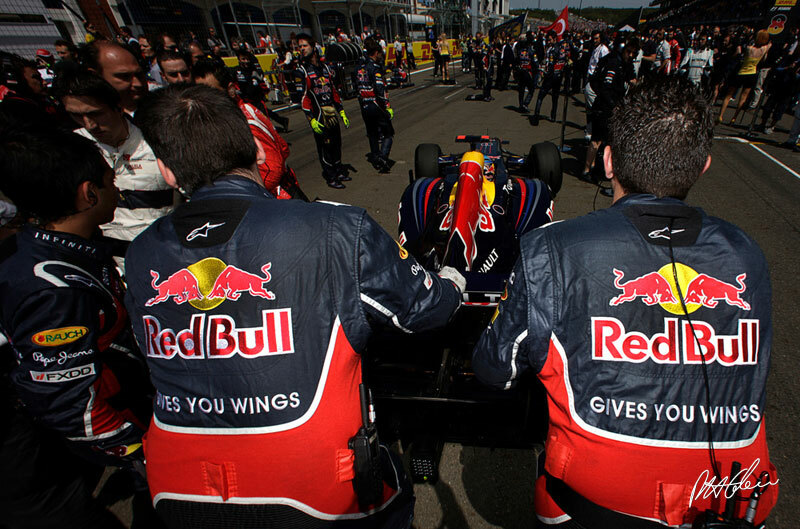 But fighting with Red Bull is tough so it was good to be close. The car feels much better now -- better in qually and better today than in previous races. It was a surprise to be half a minute in front of McLaren and so the car is doing something better." Q: Sebastian, today most drivers needed to use Plan B but it all seemed to go very much to plan for you today. Sebastian VETTEL: Yeah, I think we had a smooth race. Obviously a very good start which was crucial and then I was able to pull a gap, right at the first stint, which was important as we could then afford to stay out a lap longer, wait to see what the others are doing in terms of strategy and just react. We always had this three, four to eight-second cushion to the second guy and it makes my life easier, easier to find out which strategy really works. All in all I am very happy. We lacked the Friday. I had an accident on Friday and crashed the car badly and all the guys, not only the guys around my car but Mark's guys, helped a lot and together they fixed the car. It meant some extra hours for them which I am sorry for but I think yesterday and today makes up for it. I am very pleased with the result and big thanks to the team. Q: Talk us through briefly your own tactics. It seemed you had to be quite fluid today? Vettel: Yeah, it wasn't easy from the start to know what is going to happen. Of course you have a rough ideas about tyres and how long they will last but you really have to wait the first and maybe the second stint to see this is the trend, this is the way we are going. In the end, I think I could have afforded to stay out on my first set of prime, but you have to be in a position for whatever comes. I could have made it easily to the chequered flag, which gives us the pit-stop, around 15-20 seconds, but then again, if something happens or an accident elsewhere and a safety car comes out and obviously you are on a used tyre. I think it was the right thing to come in another time, even though it was just a very short fourth stint after the third stop. It was very much in control. I am very happy with how we communicated during the race and how we reacted so very, very pleased and I think since China we have definitely made a step forward. We have learned our lesson and we have to make sure that we keep this momentum into the next couple of races. Q: Mark, an eventful race for you. You lost ground at the start and then again to Fernando during the race. How did you make your comeback? 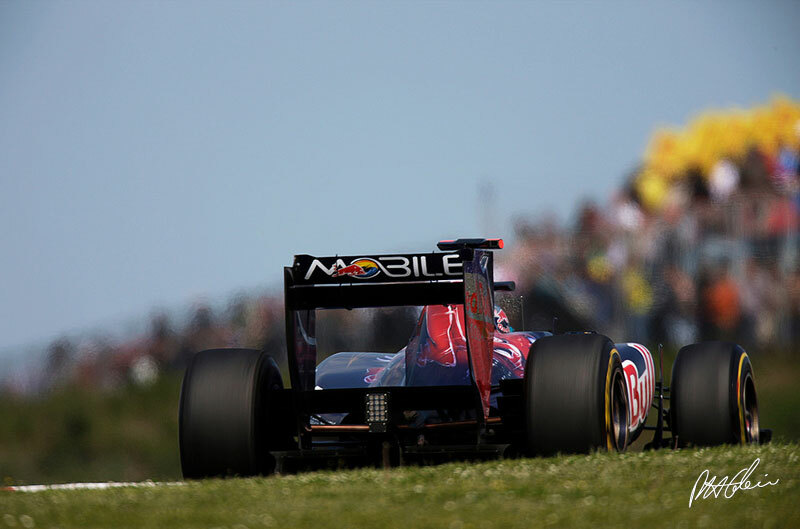 Mark WEBBER: Yeah, it was eventful wasn't it. The start wasn't that easy out of that side of the grid, which we probably expected a little bit. But it is not the end of the world as we have seen the last race starting 18th, it doesn't really matter if you are on the dirty side or whatever, even if you're at the front. I spent a few laps trying to clear Nico (Rosberg), which is obviously not ideal and Seb got a bit of a gap. I was then a little bit on the back foot from there. I cleared Nico and the guys pitted me a bit earlier than I expected, as I knew that the undercuts were coming into play and clearly there was a gap for us to come into. That's the way it went. We made our bed in terms of our strategy from then on. The fight with Fernando in the middle of the race was a little bit unexpected. He drove fantastic today. It was a good fight. Both of us used the DRS to get the moves done, so that was part of it, but the tyres play a huge role. In the end I had a fresher set of tyres from qualifying and got the job done on Fernando and that was it really. 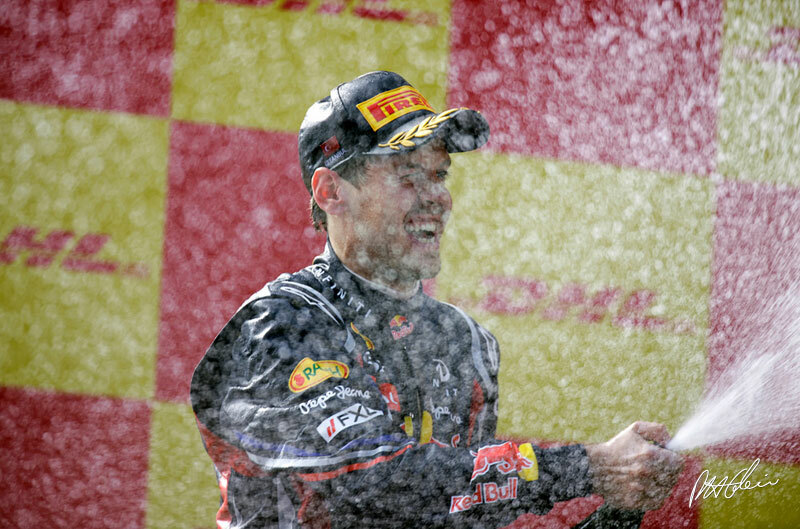 Congratulations to Seb: another victory. He is on a roll obviously but this is the maximum I could get today. Q: There were a lot of multiple phase overtakes today, passes lasting several corners. What was that like? Webber: I just think it is the way the circuit is on that last sector there. You try to get into the braking for 12 and then the guys can either run round the outside at 13 and then you have to try and have the rhythm or the line correct even to open the next lap. That is the reason why it is like that around here. Q: Fernando, you were second for quite a bit of the race. Third at the end but you must be pleased with the pace of Ferrari today? Fernando ALONSO: Yeah, absolutely. We did a good weekend overall. The car performed a bit better than what we did in the first three races of the championship. Finally we enjoy racing again and we enjoy a race fighting for the podium positions and as you said changing second and third position through the race. Finally we enjoy racing again. Alonso: As Mark said we lost a little bit of time behind Rosberg at the beginning of the race, so we forgot anymore the possibility to fight with Sebastian for P1, so we concentrated on P2. I had a little advantage in terms of tyre degradation maybe at that part of the race compared to Mark and as Mark said we used the DRS and I was able to overtake him. Then, in the last part of the race, it was more or less the opposite. We had maybe a little bit of a disadvantage with tyre degradation and we lost the position again but it was okay. I think fighting with Red Bull in these days is quite difficult and we were close so hopefully next time we will try again. Q: Sebastian, you're opening up quite a nice lead in the championship now. You have 93 points. Vettel: It is good to get as many points as you can every single race. But it is a long, long way and we saw how quickly things have changed last year especially with Fernando coming and going and coming and going and in the end it was very, very close. 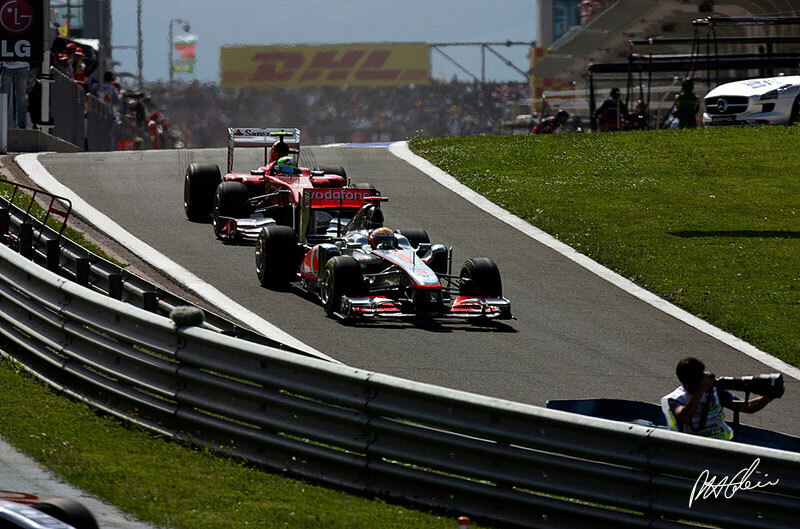 We have to really go step-by-step, see every race on its own and try to maximise our points. But a good start to the season always helps, but it is a long, long way to go. Four out of 19, so you can work out how many points there are still to get so we have to keep focused. Q: Sebastian, three out of four wins and a second place. It has got to be the best start to the season hasn't it? Vettel: Yeah, I think statistically you are right. Cannot really complain. A very good race today, very smooth and pretty much in control from the start to finish. It was a bit of a comfortable situation having Nico at the beginning behind me, at least for the first five laps, as I was able to open a gap maybe quicker than if Mark had been behind. Throughout the race I had this cushion and we were able to react rather than act, so very pleased. This one is for the guys, as I wrecked the car on Friday, but they got it back together and everyone played his role. Not only my mechanics, also Mark's mechanics helped a lot to fix the car and get ready for Saturday. I have to say, when I walked in on Saturday morning every little worry was gone immediately, as the mechanics gave me the impression that nothing happened, nothing is wrong and we will continue as usual. This helps a lot. People I see in the paddock, I see them from time-to-time, but people I see in the garage, I am working with them all year long and it means a lot if people that are close to you give you the impression there is nothing to worry about and they make you feel comfortable. It was a very good race and I am obviously very, very happy. Q: It looked a comfortable race as well. It didn't look as though you had any dramas throughout. Was the car perfect as well? Vettel: Especially the first two stints you have to really see where you are. The tyres are tricky to handle. We saw today again different strategies with different people. It is never perfect as naturally the tyres go away from you at some stage and you have to deal with that. I think there was nobody today with no tyre wear. I think we expected this circuit to be extremely challenging, especially around turn eight it was very difficult to handle. But being in the lead and having this extra cushion plus we also had the pace in case we had to react. We never had someone really close behind which might be a completely different situation. The pace was good today and the car I was very happy with, even with the lack of practice on Friday. Starting the race it is a bit uncertain, you have to find your reference points, braking points as with higher fuel you do not know where they are. If I think about braking where I did yesterday in qualifying then I think I did that once. But that was not the target. A very good race and as I said straight after very much in control. Q: Mark, tell us about the start, were your worst fears realised? 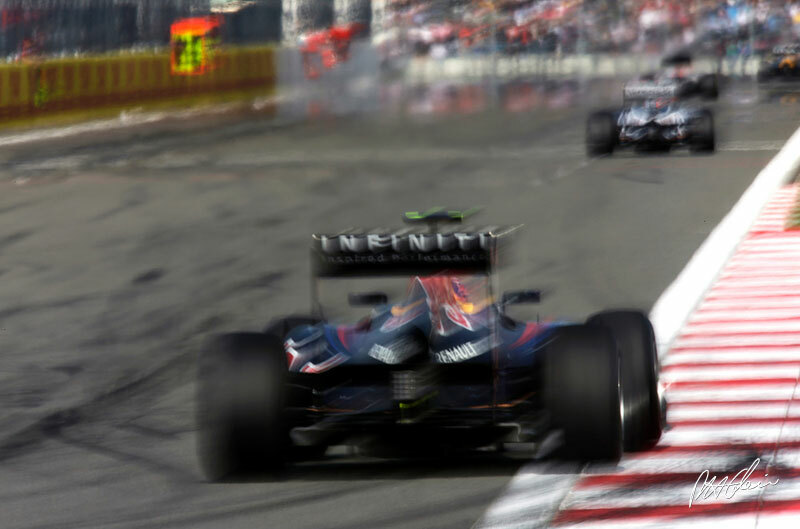 Webber: Yeah, it was, but no panic these days. It's a long race, last year's regulations and years before, when passing was very very difficult - yeah, you might be panicking a bit more but no huge panic. Good start from Nico and yeah, he was struggling in the first few laps. Obviously then Seb got the nice cushion and the gap and it's a bit like in tennis or squash, when you have the ball in control of what you want to do, Seb drove a great race and then when you're in control of the manipulation round the stops it's an accumulation of making life easier, so it worked out well for him today. I got the maximum I could, really. I would have not liked to have had the fight with Fernando earlier in the race, middle part but again, he drove a very good race and we had a little bit on there with Fernando using the DRS eventually to execute a move coming close to me. That was good and then at the end of the race I could come back. Obviously I had a slightly better set of tyres than Fernando did which is very important these days. We know the tyres are virtually everything and I arrived back on him and thankfully returned the favour. I was saying to myself 'I can't finish third having started eighteenth on the grid and then finished third having started on the front row.' So I needed to finish second, so thank God we did that. The guys did a great job all weekend, maximum result for the team, so we can't do much more than that as a team. Yeah, wasn't a bad car race, I think. I'll have a look at it on telly, see what it's like. Q: Do you think you could have fought for the win if it hadn't have been for the gap at the start? Webber: Would have been difficult to beat Seb today. It would have made it easier, of course. When you get that four or five second buffer, probably four seconds, Nico was doing his race and that's fair enough. Could have made a cleaner move initially then Nico got me back so in the end, the result is as it deserves to be, I think. 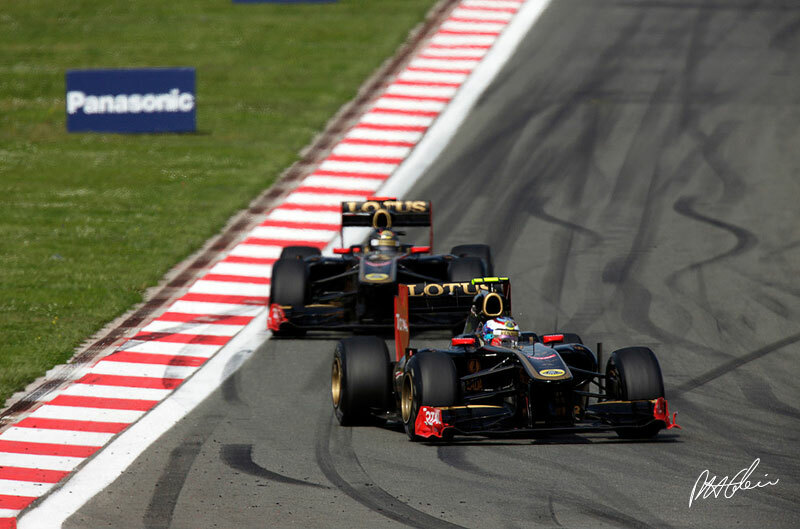 Q: Fernando, as James was saying in the unilateral, third place must feel good, after the previous races. Alonso: Yeah, it feels good. Obviously we capitalised on the opportunity. I think we were in condition to be second, maybe, in Malaysia. I touched with Hamilton when I was passing him for third and then we had the opportunity to catch Button as well for second so we missed that opportunity and today we had another one and finally we did it. It was a good race from us, I think, a good weekend overall. Friday we had some issues but Saturday and Sunday were perfect for the team, for the strategy, for everything. So yeah, very, very happy with the result but this is only the first step. We want to win races and first we need to be on the podium as we were today and now we need to keep moving forward. Q: Obviously you had two battles with Mark, one went your way, the next one didn't. Was it down to tyre-wear that it didn't go your way right at the end? Alonso: Yeah, I think that these days tyres make a huge difference. Even with three or four laps on the tyres you can feel the drop in performance so I think in the middle part of the race, when I overtook Mark, maybe my tyres were in better condition, because I was comfortable at that part of the race. In the last part, I think Mark had a new set of prime tyres and I didn't, and maybe that was enough to make a difference. 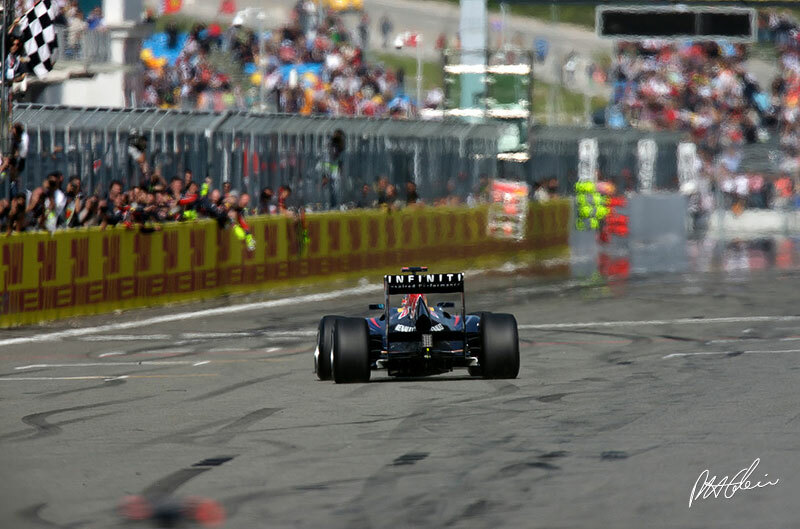 We also saw cars performing a little bit better with hard tyres, cars performing better with soft tyres as well, so we need to see, try to analyse and anyway, fighting with Red Bull is not easy. Q: Next race is in Spain, an important one obviously for your fans, what are your thoughts about that? Alonso: Well, I think we need to keep working, keep understanding better this car, these tyres, the problems that we may have in the factory. I think we need to keep in this direction for Barcelona, this improving course that it seems that we start here and this has to be only the first step of our recovery and in Barcelona there is much more to come from us, I'm sure. Q: (Livio Oricchio - O Estado do S‘‚ ‚ ‚ ¡‘‚ ‘‚ ‘ ‘‚ ‘‚ °®®œ®®£o Paulo) To both Red Bull drivers: what about the KERS performance in your car? Vettel: I had no problems today. I think big compliments... for you maybe three weeks is a lot, for us, the drivers, it's maybe some time off, but for the team, they are working hard and today I had no problems from start to finish, so very, very happy. 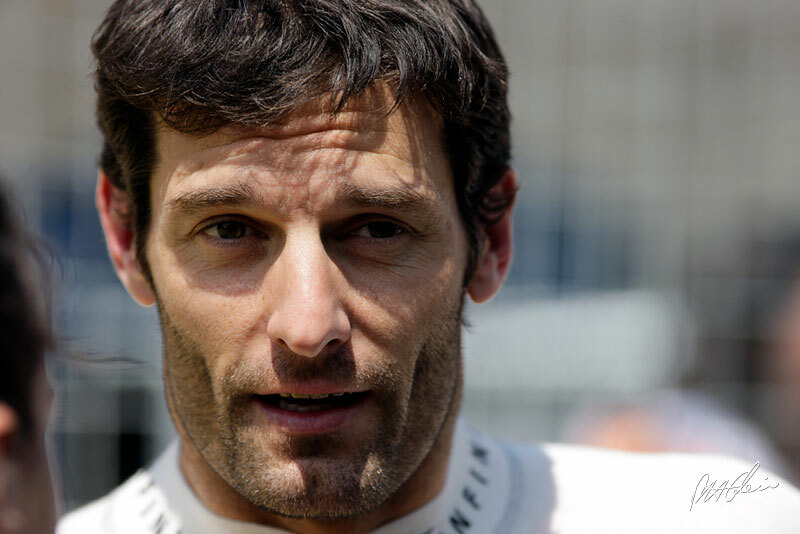 Webber: Yeah, same for me with the exception of the last part of the race. I drove past Fernando, we had a little bit of an issue which we had to manage, but the KERS was very good today, the guys have done a great job. Q: (Frederic Ferret - L'Equipe) Sebastian, do you feel you have any weakness now in your driving, in your team, in your car, and the same question for Mark, do you feel that there is somewhere that you can beat him? Vettel: It is a long way to go and surely we've had a good start but I think that the day you start to think that you are unbeatable is the day you get beaten, for sure. We all try to win, obviously, and all try to be better than the other guys but I think there's always someone at some point who will teach you a lesson and will give you a very hard time and beat you. We are racing at the highest level. Of course, I am very happy with today and the start of the season, very happy with how we work together as a team and pull together in one direction but I think there's never any time to really rest and think that really everything is under control. You have a lot of guys, Mark and Fernando here, Lewis and Jenson, Nico was very quick yesterday. Obviously they lacked a little bit of pace today in the race, but surely I think you can see that we've had four races now but every single team has had their highs and lows, so I'm very happy, as I said, because we have been very competitive in all four races and very quick, but sometimes it was quite comfortable, like in Australia, in hindsight, but other times it was very, very close. I just want to remind you of Saturday in Malaysia where for us it was not clear to beat McLaren in qualifying. Yesterday Mercedes were very quick. Next race, I heard some rumours - I don't know if it's true - but many teams are bringing a lot of updates and that will be the story of the next couple of races. Everyone keeps pushing and you have to take everything you can at the time. Webber: Yeah, Seb is on top of his game, he's had a good start to the season, no question about it, nearly the maximum so that's ideal for the rest of us, but it's up to us to do the best we can to try and bring this to a stop sooner rather than later. Every driver on the grid has weaknesses, some more than others but it's up to you to try and interrogate those sometimes when you can and that's what being in sport is all about. Seb's off to a great start, the team has done a good job. 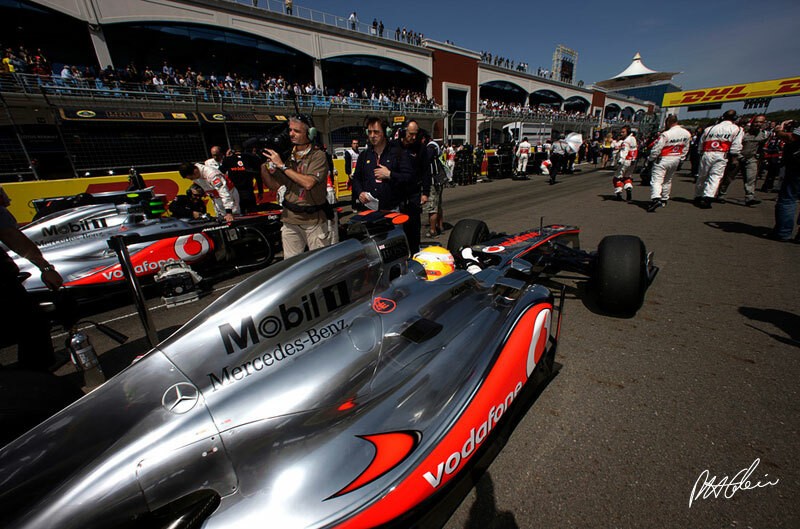 Q: (Jaime Rodriguez - El Mundo) Fernando, do you feel that the car really has improved in comparison to other races, and what has been the main difference? Alonso: Yeah, the car definitely feels much better now. We were more competitive yesterday in qualifying and more competitive today in the race than previous races. As I said yesterday, being in front of Button was a surprise for us, to have one McLaren behind and to be half a minute in front of them today is another surprise, so the car is definitely doing something better than what it did in the first three races. From the driver's points of view, difficult to feel this improvement, you just feel that the car is quicker, more grip overall, but as I said before, this is not enough, we cannot be happy with fifth in qualifying and third in the race, so we are going in the right direction but this is only the first step. Q: (Paolo Ianieri - La Gazzetta dello Sport) Question to all three of you: do you think that the tyres are having too great an influence? Today almost everybody had four pit stops. Is it not just too much, too confusing, also making it too easy to overtake? Alonso: I think it's what people asked for last year. I think we saw two stops in Canada, people enjoyed that race. People, fans, journalists: everyone was asking for more of a show, for more pit stops, more fun and now we have all of that, so now if people are still not happy, we need to see what they want. Vettel: The only thing which I think is a bit tricky - obviously every race is different and it's difficult to produce a tyre that is a two stopper everywhere, because tracks are different but I think the real hard time is really for the spectators in the grandstand. Sure, if they have a video wall in front of them it's possible for them to follow (the race) but after the first stint, especially when you have pit stops every ten to 15 laps, I think it makes it really difficult for the people coming here to visit and to watch, to follow. Sure, you maybe understand the first five, first ten, but then not everyone is following the leader or the guy in P2, P3. There's also guys from ten to twenty-four so it doesn't make it easy for the spectators. It's obviously very early to judge, still, because we've only had four races and one race it was possible to one-stop, here it was possible to four-stop so we need to see as we go and wait a couple of races. Q: (Heikki Kulta - Turun Sanomat) Mark, for a driver, which way of reaching the podium is more enjoyable: your Chinese style or this Turkish style? Webber: Hmm. A lot more people probably enjoyed my China drive than I did, to be honest. I think that when you come up against drivers like Fernando and Jenson and Felipe, Nico, these guys, and you catch them at 2.5s a lap, it's nice but it's not very rewarding in terms of how you pass them. These guys have absolutely nothing to fight back with, so it was a podium which of course I took. Of course I had to drive well, consistently on the limit, blah, blah, blah as all the other guys were, but that was the tyres they had. Today was a different type of race. Of course, I was at the front - in the top few - the whole race and it was again, it was just fighting with Fernando, with just one guy. 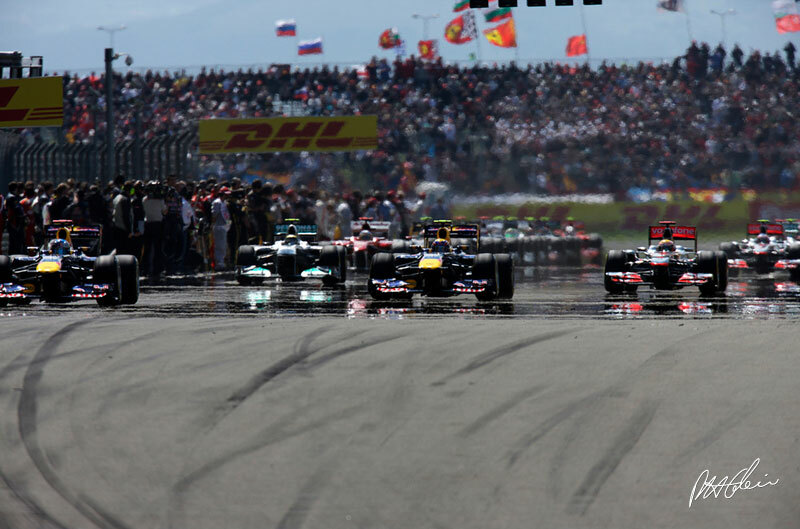 The race in China was fighting with lots of different guys. I had a new guy on the pit board for the Chinese Grand Prix and it was a very tough race for him to start at, so I think he made a much easier job today. Also referring back to the previous question about how the racing is, it's best I stop there. Q: (Sarah Holt - BBC Sport) Fernando, could you have fought Vettel for the victory if it wasn't for Rosberg, or is this podium still completely unexpected? Alonso: Well, the podium is a nice surprise and we have nothing really to say. We just need to be extremely happy, but I think for Mark and for me, it was difficult to fight for victory, nothing to say, I think Sebastian was 99 per cent favourite, but this one per cent chance that we had we lost in the first five laps behind Nico, because the more or less five, seven second distance to Sebastian was consistent all through the race. Without those five seconds, maybe we can't risk stopping two or three laps early and to force something or to push the Red Bull cars to the limit which we haven't been able to do at the moment. Q: (Carlos Miquel - La Gaceta) Fernando, you really think it was possible to make one stop less, against Mark? Alonso: No, I don't think so. I think that when we stopped... it's strange to stop ten or eleven laps to go but really from 14 laps to ten laps to go, the car was already difficult to drive in these last four laps, moving a lot and risking a lot. I imagine that another ten or eleven laps like this with that progression of degradation maybe you don't even finish the race. Q: (Michael Schmidt - Auto, Motor und Sport) Fernando, when you were fighting against Mark at the end, were you on the soft or hard, used, new? And in China you were struggling on the harder tyre; how was it here? Alonso: Here was OK. I think I was with used hard. 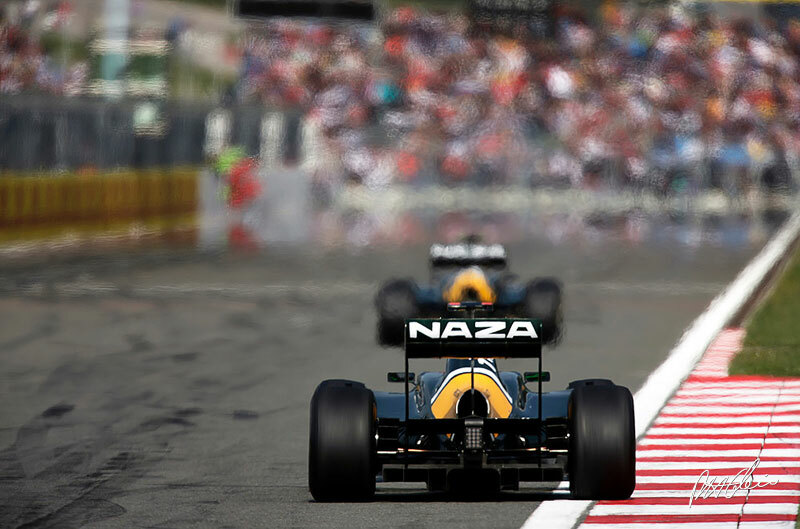 Q: (Sudhir Chandran - Chequered Flag) If everything goes right, India is all set to host its first F1 race. 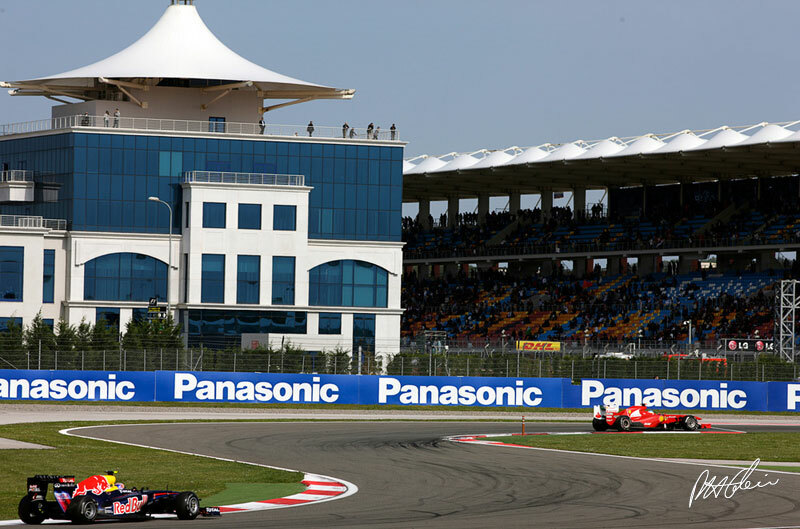 I wanted your thoughts on a) F1coming to India and b) the pressure of driving in front of a billion people? Vettel: I think we are looking forward to it. We've heard a lot of things, a lot of good things. One thing I heard is that it will be sold out and that there will be a lot of people there, so this will be fantastic. I think this race here has very often been criticised in the past for not having a lot of spectators. Today, I have to say that the atmosphere was quite good, and I really enjoyed the last lap, but surely there were some empty seats and I hope that all the effort that you make to build the circuit in India will be rewarded by a lot of people coming and no empty seats, so that's what I will be looking forward to most. Alonso: Yeah, same thing. 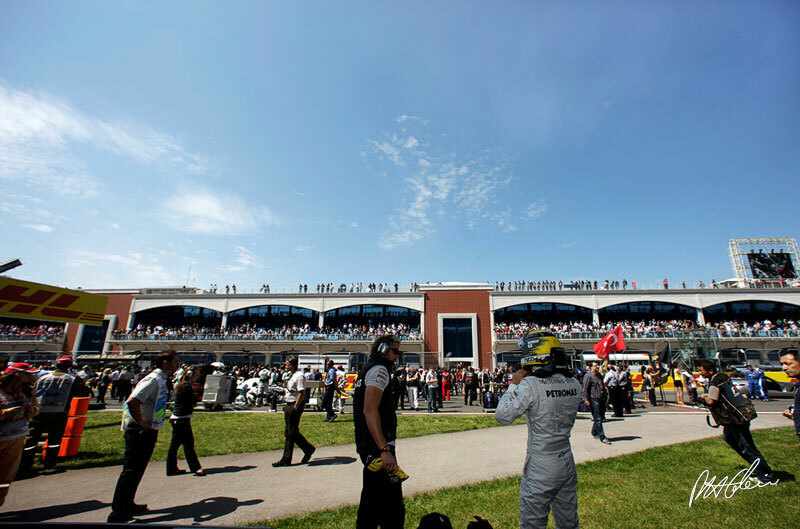 Fantastic news coming from the circuit and we are all really excited to race there for the first time. It's also a country that I want to visit and I will remain for a week there between the races so looking forward to it. Webber: Yes, obviously India has had some big events over the last few years, with the Commonwealth Games and the cricket World Cup - I don't know which side won the World Cup - yes I do - but I'm looking forward to going out there. 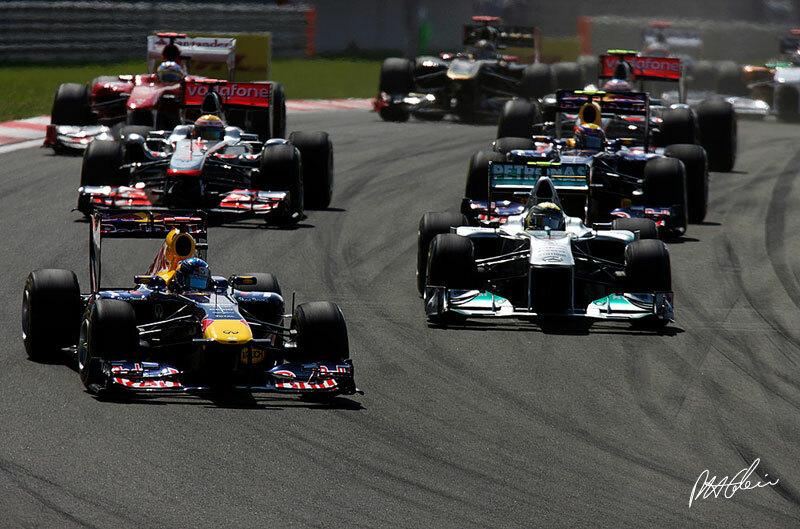 Obviously Formula One going there is a big event, it should go smoothly. All of us always love to go to new venues, it's a beautiful country in many areas, so I'm looking forward to going to experience it and have some of the cricket players come and say hello to us guys.